What makes good people capable of committing bad – even evil – acts? Few psychologists are as well-qualified to answer that question as Philip Zimbardo, a psychology professor who was not only the author of the classic Stanford Prison Experiment – which asked two groups of students to assume the roles of prisoners and guards in a makeshift jail, to dramatic effect – but also an active participant in the trial of a US serviceman who took part in the violent abuse of Iraqi prisoners in the wake of the second Gulf War. 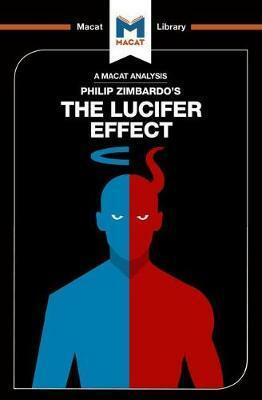 Zimbardo’s book The Lucifer Effect is an extended analysis that aims to find solutions to the problem of how good people can commit evil acts. Zimbardo used his problem-solving skills to locate the solution to this question in an understanding of two conditions. Firstly, he writes, situational factors (circumstances and setting) must override dispositional ones, meaning that decent and well-meaning people can behave uncharacteristically when placed in unusual or stressful environments. Secondly, good and evil are not alternatives; they are interchangeable. Most people are capable of being both angels and devils, depending on the circumstances. In making this observation, Zimbardo also built on the work of Stanley Milgram, whose own psychological experiments had shown the impact that authority figures can have on determining the actions of their subordinates. Zimbardo’s book is a fine example of the importance of asking productive questions that go beyond the theoretical to consider real-world events.